An innovative entrepreneur and leading expert in the area of human potential, Mark Victor Hansen is known as the Master Motivator, and for good reason. For more than 25 years, Mark Victor Hansen has influenced society's top leaders and the general public on a global scale. His mission: To save, lives, fortunes and futures. As a professional speaker he has given over 5,000 presentations worldwide in virtually every major city in the United States and Canada. He is in high demand as a keynote speaker and seminar leader by many of North America's top corporations and professional associations. Time and again, Mark continues to receive high accolades as a top rated speaker from his audiences. 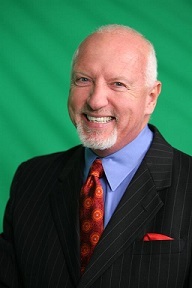 Mark Victor Hansen is also the co-creator of the widely successful Chicken Soup for the Soul series. The series TIME magazine calls "The publishing phenomenon of the decade" has collectively sold over 30 million copies in North America alone, making it one of the most successful publishing "franchises" in America. Mark has also co-authored the One Minute Millionaire with Robert Allen. In addition to his live seminars, Mark has made a profound difference in the lives of millions through his extensive line of book and audio programs. He is a widely published author with many popular books such as Dare to Win (Berkeley), The Aladdin Factor (Berkeley), and Out of the Blue (Harper Collins). His most popular self-published titles include Future Diary, Visualizing is Realizing, Sell Yourself Rich, Unlimited Riches, How to Achieve Total Prosperity, Treasury of Quotes and The Miracle of Tithing. Mark has been a member of the National Speakers Association since 1974, having earned a C.S.P. (Certified Speaking Professional) which has been achieved by less than 7% of their membership. He has been seen my millions on television shows such as: CNN Eye to Eye, QVC, The Today Show, The Caryl & Marilyn Show, The The Nostalgia Channel, and featured in several national magazines including: Entrepreneur, Success, Forbes, Time, Working Woman, People Magazine, as well as hundreds of newspaper articles, and over 500 radio talk-show programs. Mark Victor Hansen is reshaping the vision of what is possible in our lives and is credited with having a profound influence on the attitudes and actions of those who hear him One story at a time.